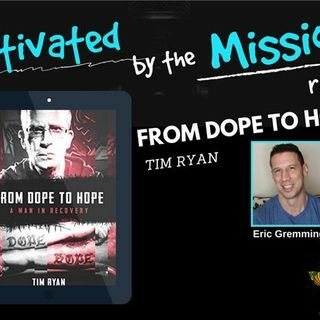 Host Eric Gremminger of Motivated by the Mission interviews 'Man in Recovery' and nationwide speaker Tim Ryan, author of From Dope to Hope, Founder of A Man in Recovery Foundation, and subject of the A&E documentary, Dope Man. A tireless advocate for long-term recovery, Tim Ryan is no stranger to addiction – including heroin, cocaine, and alcohol. Despite a successful business career, Tim found himself in the grips of heroin and, ultimately, was sentenced to seven years in prison ... Más informaciones for a number of drug-related convictions. Tim got clean and sober behind bars and was released in just 14 months. Six months after his release, tragedy struck. His 20-year-old son, Nick – for whom Tim had paved the way to use deadly drugs – died tragically from an overdose. Attempting to get beyond the devastation and heartbreak, Tim used Nick’s death as the inspiration to spread a message of hope and recovery to others, believing that if even one addict or one family could be spared the horrors of the disease of addiction, he would be making a difference.